Viknesh Vijayenthiran July 24, 2015 Comment Now! 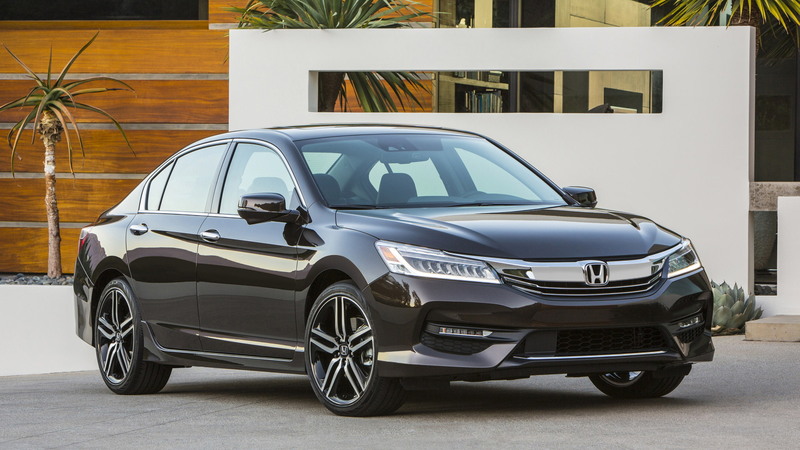 A new Accord isn’t normally reason for excitement but the latest 2016 model is certainly worth a close look at, even for those buyers considering a near-premium sedan or perhaps even a model from Honda’s upmarket Acura division. 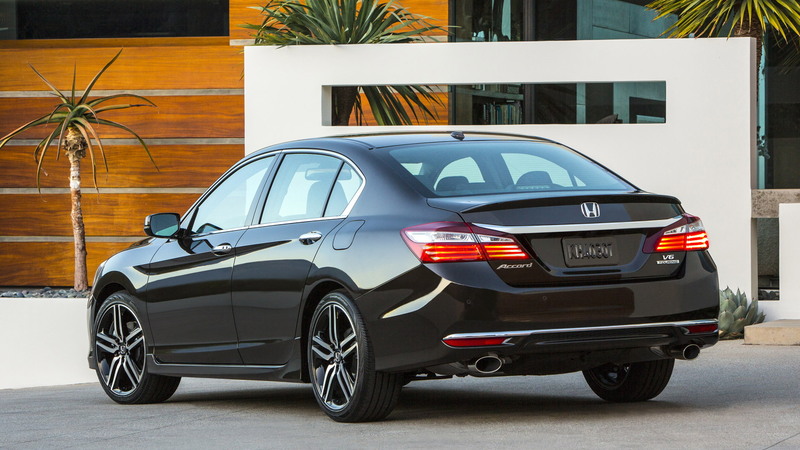 The 2016 Accord is an updated version of the model on sale since the 2013 model year, and key among the changes are the sharp new look and expanded tech. The changes affect both the Accord Sedan and Accord Coupe, though we only have photos of the sedan at present. On the outside, there is sportier, more sophisticated styling. A new aluminum hood features sharper character lines that meet up with a more expressive grille and new headlights with LED elements. LEDs are also used for the tail-lights and daytime running lights. Continuing the sporty theme is the availability of 19-inch wheels for the first time. There aren’t as many visual changes inside but there is a new 7.0-inch touch-screen display that forms part of the infotainment system. It works together with the existing center stack display and includes compatibility with the latest Apple CarPlay and Android Auto smartphone integration systems. 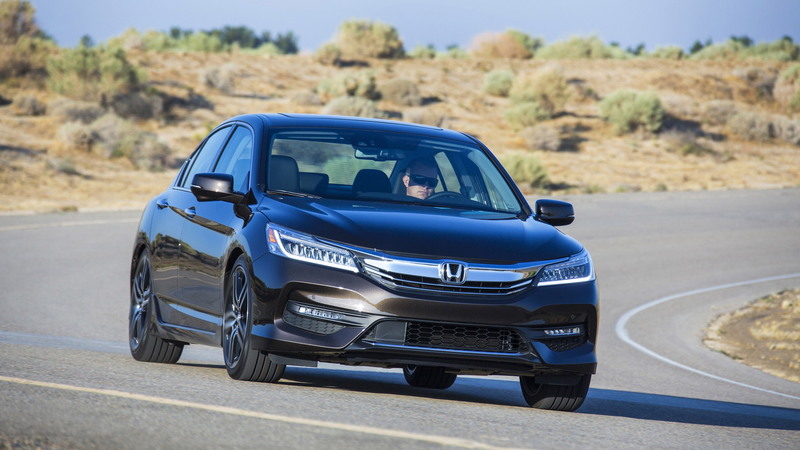 One final major tech addition is the Honda Sensing suite of safety and driver-assist features. Honda Sensing includes a Collision Mitigation Braking System (CMBS) with Forward Collision Warning (FCW), Lane Keeping Assist (LKAS), Road Departure Mitigation (RDM) with Lane Departure Warning (LDW) and Adaptive Cruise Control (ACC). It’s available as a standalone option on all trims with the exception of the Accord Touring, where it’s included as standard equipment. There’s been no changes made to the powertrain offerings, which means the base 2.4-liter four-cylinder engine still outputs 185 horsepower, and the available 3.5-liter V-6 is still delivering 278 hp. Depending on the model, you can select from a six-speed manual, six-speed automatic or CVT. An Accord Hybrid will also continue to be offered, though the updated model will be sourced from Japan instead of Ohio. CHECK OUT: 2016 Toyota Tacoma Comes With GoPro Mount; Is This The Start Of A New Trend? According to Green Car Reports, the 2016 Accord Hybrid will feature an updated version of Honda’s two-motor hybrid system that will deliver even higher fuel-economy ratings than the current Accord Hybrid’s 47 mpg combined. This new two-motor hybrid will eventually make its way into other Honda models, though it’s not clear yet which ones they’ll be. Note, the slow-selling Accord Plug-In Hybrid model has been dropped. Available only in a handful of states, it has sold just 1,000 units over two years. Honda plans to launch a dedicated plug-in hybrid in the near future, however. 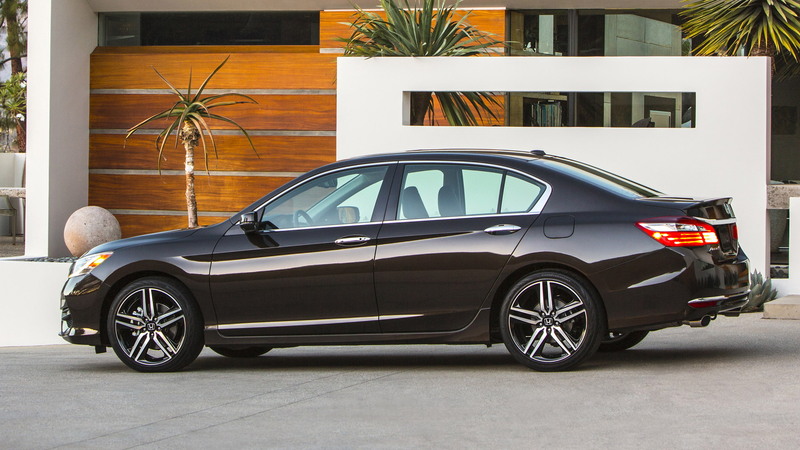 The 2016 Honda Accord Sedan and Accord Coupe will hit showrooms in the United States next month. 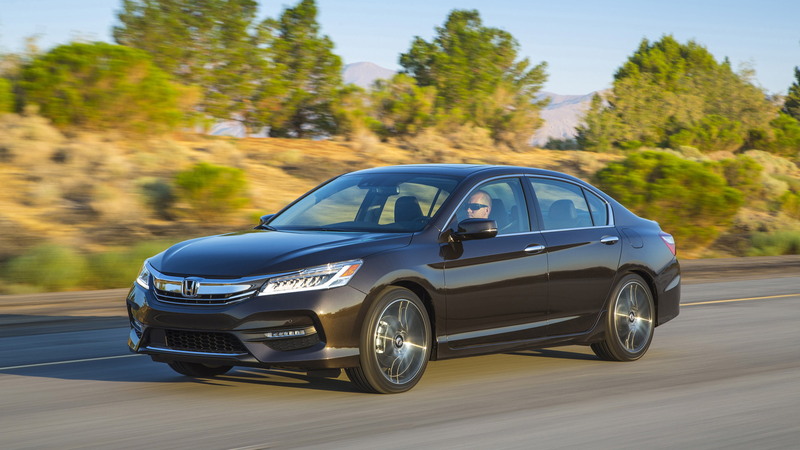 Pricing information, as well as Honda’s plans for the 2016 Accord Hybrid, will be announced at a later date.